AKG Motorsport has developed many short shift kits over the years; in fact, we actually built the first BMW short shifter over 30 years ago for the 2002 – and still sell a variant of it to this day. 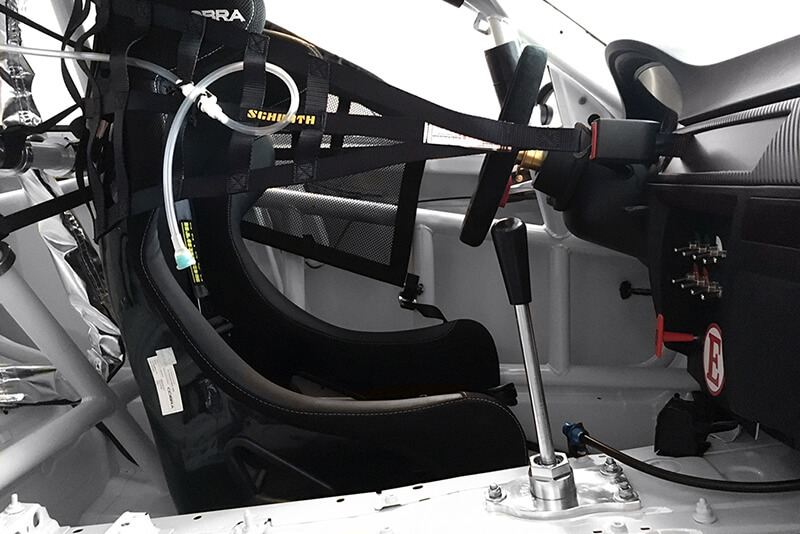 Our current version of the quickshifter for BMW replaces the entire stock assembly with a beautiful, precision CNC crafted billet aluminum racing shifter – which also eliminates the stock ball and cup design in favor of a built-in, high-precision ball bearing. It’s a shifter so good, it’s world-renowned. Our CAD/CAM designed racing shifter is engineered to be simple and reliable, all while providing the most precise shifts of any shifter available. This race-bred shifter is designed for lifetime use and is the first and only one with fully serviceable with replaceable parts. Both the base plate and housing cup are CNC-machined from a single piece of solid extruded 6061-T6 aluminum, while the lever is CNC-machined from 7075-T6 aluminum. The entire assembly is precision engineered to be a direct bolt-on to your specific chassis, eliminating the need to drill holes into your car for installation. At only 0.86kg, it’s as light as it is strong, and with the shortest throw available, it’s all business. See, we’ve eliminated all movement found with a street shifter assembly for the most precise, worry-free shifter travel possible – even in turns and under load. And unlike other shifters, which use snap-on mounting for the shift knob, our shifter features a secure threaded race mounting with a raised shift lever position for comfortable, ergonomic shifting under quick, repetitive conditions – because every shift counts. The selector rod connects the bottom of the shift lever to the transmission. Unfortunately, the cheap stock selector rods quickly degrade, yielding even more movement to an already wobbly assembly. The AKG DTM Shift Rod (SOLD SEPARATELY), also known as a DSSR or double shear selector rod, is engineered to extremely high tolerances and CNC-machined of high strength 7075-T6 aluminum alloy to eliminate this extra movement in your shifter mechanism – leading to smoother, more precise shifts. Where necessary, our design incorporates the correct curvature for proper guibo clearance – an important design feature you shouldn’t be shifting without.